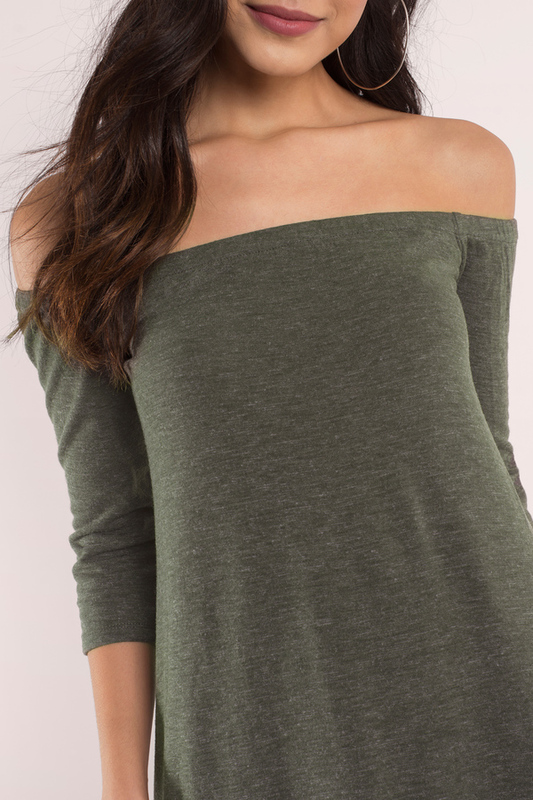 Check out Tobi's Olly Off Shoulder Shift Dress The Olive Olly Off Shoulder Shift Dress makes it so easy. In a soft knit with half length sleeves, the off shoulder dress has a chic bardot neckline and cute swing shape. Heels or sneaks, this shift dress can be dialled up or down for whatever you're feeling that day.